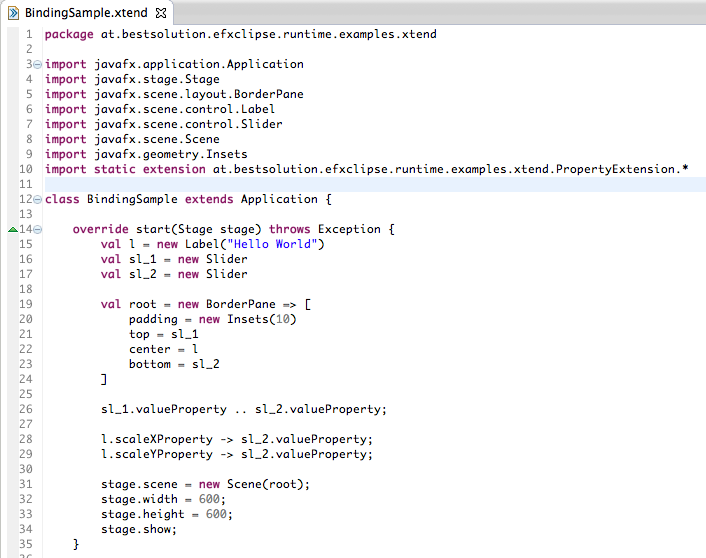 JavaFX has properties you can bind to each other to keep them insync. Watch this video for a very minimal example which scales a text by dragging a slider. The trick here to make this code not as verbose as it’s java counterpart is that Xtend allows to overload operators (+, -, ->, .., …). Looks like it’s got something to do with the mappedTo operator. Other operators work fine with your parameterized code.